Moretz Moving is a full service, family owned and operated moving company that provides moving services for all your residential and commercial moves. We are fully licensed, bonded and insured. Started over 20 years ago, this moving company has moved several families and businesses in the Knoxville area and throughout the great state of Tennessee. Through many years of hard work and dedication to provide the best service possible, Moretz Moving has gained the trust and respect of many families, corporations and small business. 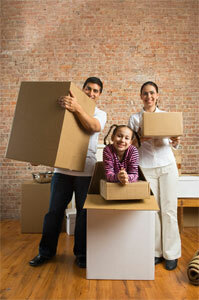 Many customers have become regular clients that describe Moretz Moving as dependable, courteous and professional. It has to be a good feeling knowing that all your moving needs will be taken care of with one phone call. By sharing your experience with Moretz Moving , it will help other customers to make a right choice of using this company. I had a great moving experience a couple of days ago with Mortez movers. They were very professional in their jobs. The crew was excellent. There was a heavy downpour and I was wondering whether I should cancel my moving plans for the day. When I called the manager and asked him about it, he convinced me that it wasn’t needed and that the crew would take care of everything and also make sure that none of my boxes get wet. I wasn’t sure how much I was going to believe that. But those guys really did make it happen! Oh I was so relieved. They managed to stay very professional and calm and they managed to be prompt. They were experts in their work! I’d surely pick them again if I ever need movers!